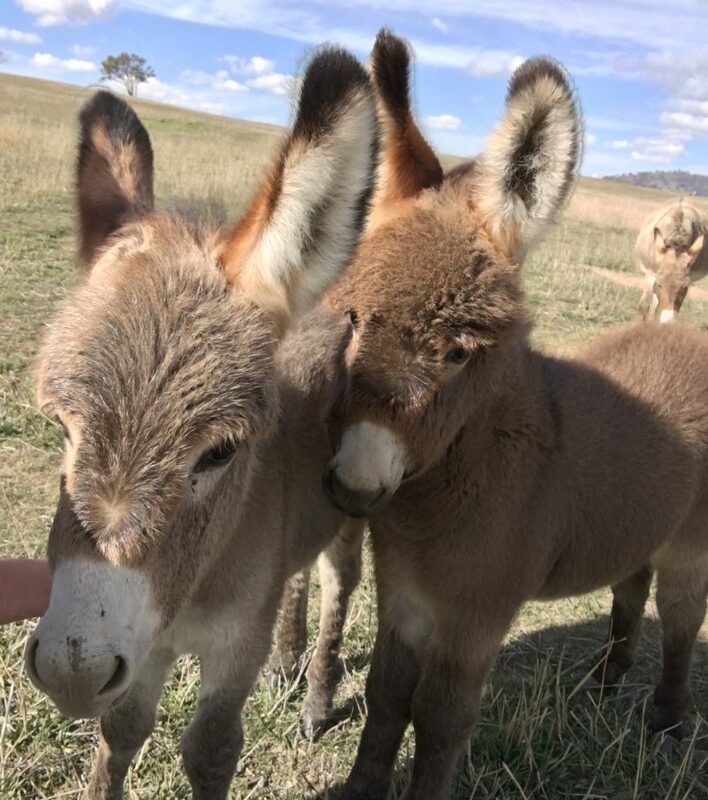 How big is a donkey? Well, that’s usually a matter of perspective… Not with our gorgeous pack. 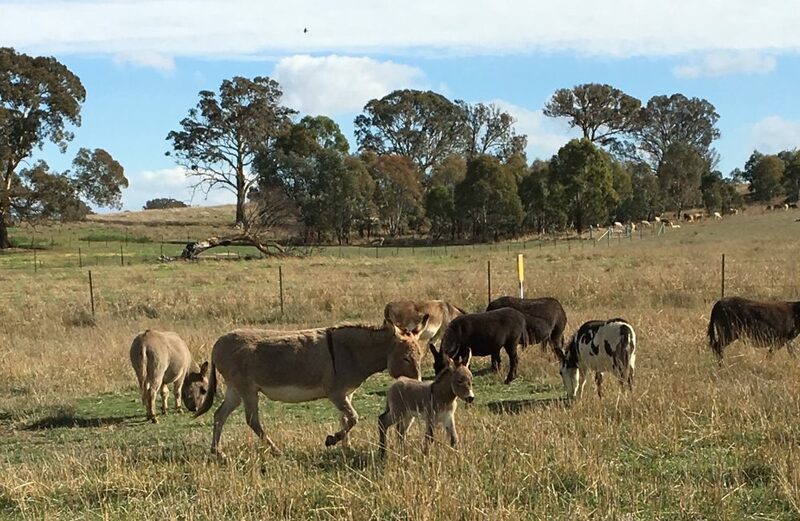 We have regular sized donkeys, miniature donkeys, and sometimes we have some VERY little foals! Just like oversized dogs, these animals love to follow you around; give you a gentle nudge, or tug on your clothing, to remind you that ALL your attention should be on petting them; and they even smile for the camera! 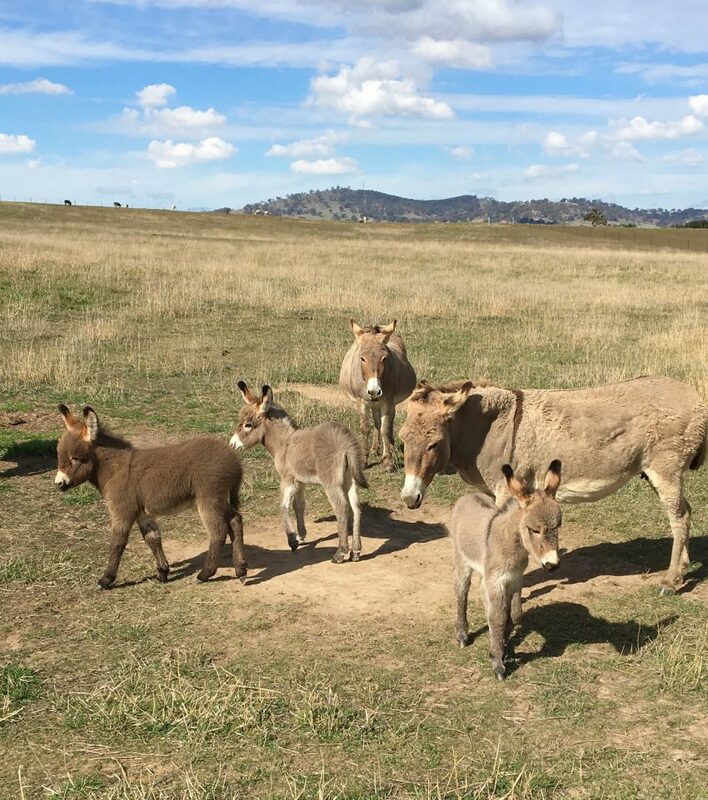 What would 1 hour with our donkey pack be like? Well, you’ll be just as reluctant as our animals will be to let you go home. And you’ll probably need to clear out some space on your phone to accommodate all the selfies you’re going to take.